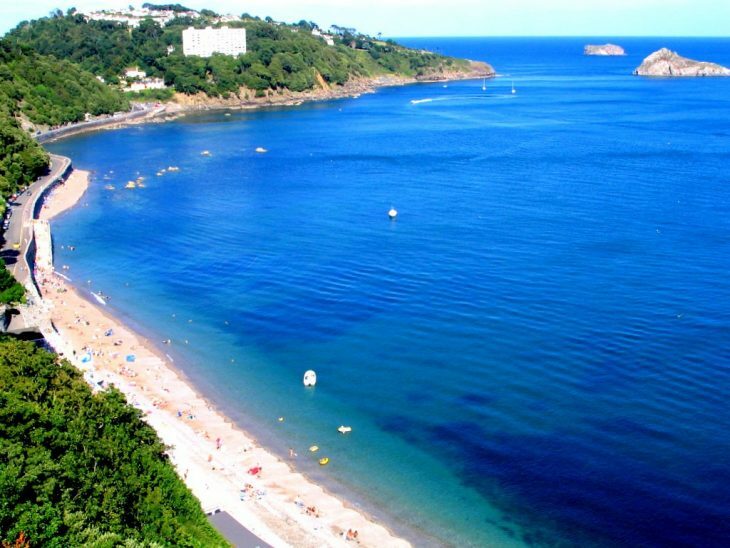 Babbacombe is halfway between St Marychurch and Wellswood, both within the borough of Torbay and Torquay, the main town. Babbacombe is a small village affair with a number of shops toward the main road, a famous fish and chip shop, Hanburys, and a number of hotels and pubs which are sea facing overlooking Babbacombe Downs, which is a green several hundred yards long, well kept with access to the sandy Oddicombe beach at one end (dogs only allowed in the winter months). The path down is steep and will take 10 mins down at a slow pace and 20 minutes up for most people. To the other end of the green, next to the small Theatre is a road and path down to Oddicombe beach, which is dog-friendly all year. There is a car park at the bottom but beware if you are a nervous driver as this road is very steep, especially at the bottom. You can, however, have a beer and food at the bottom at the Cary Arms, a pub come restaurant/hotel. 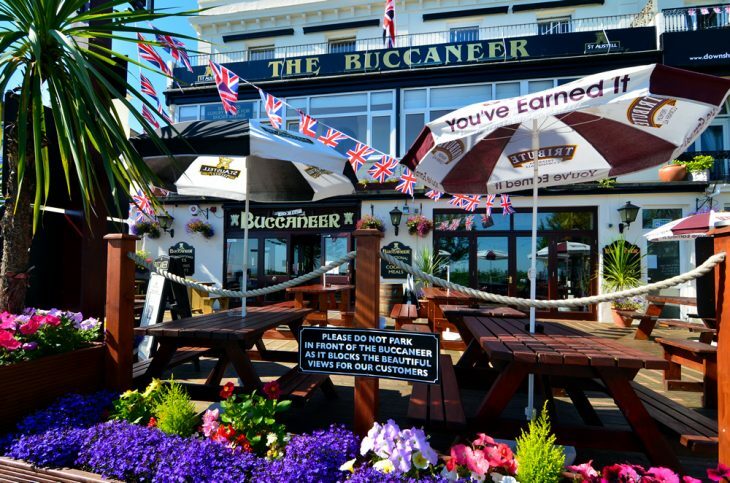 This place tends to be more expensive than the likes of the Buccaneer Inn on the Downs itself, which has great service and food and is dog-friendly! 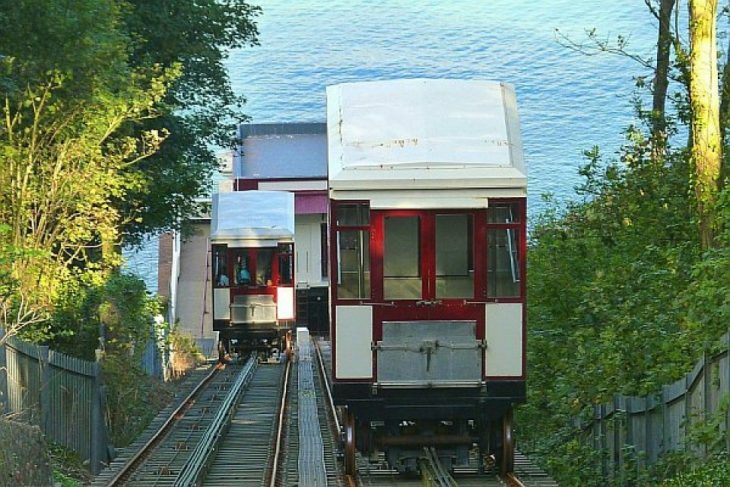 If you want an easier route to both Oddicombe and Babbacombe beach there is a funicular railway however that can make your life much easier and is found close to the ice cream kiosk and cafe at the St. Marychurch end of the green. 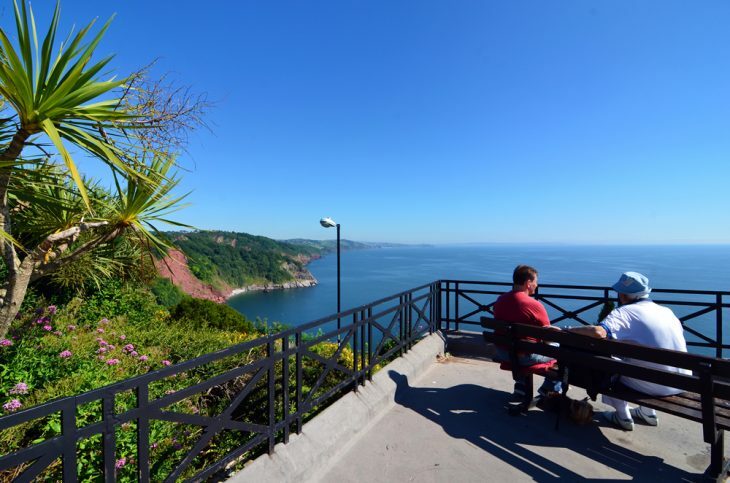 Babbacombe Downs is also on the Devon coastal path. 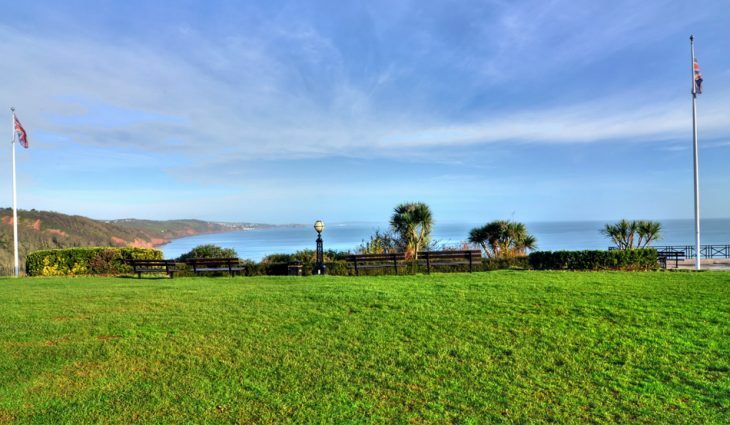 Starting on the Downs you can head south and west toward Torquay, following down to Babbacombe beach, up to Walls Hill, then along the coastline and past Ansteys cove, through the woods (Bishops walk), to Ilsham road. 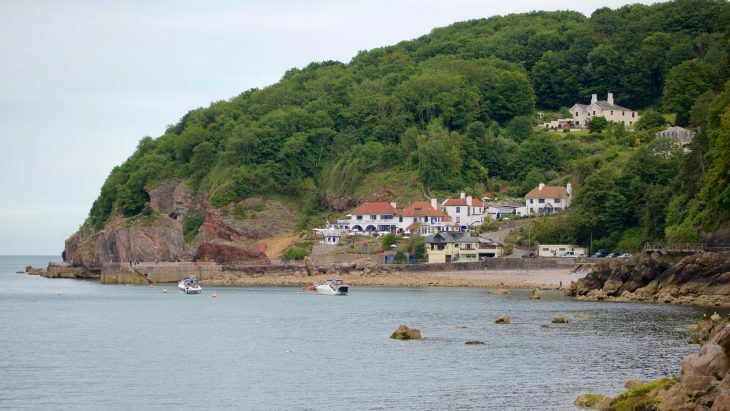 Turn left and over the headland to Hopes Nose and down past views over Thatcher Rock, then to Meadfoot Beach, up over the hill to Daddayhole Plain and onto Torquay, arriving just before the Harbour at the Imperial hotel. Allows an hour or more for this, but a great dog walk!